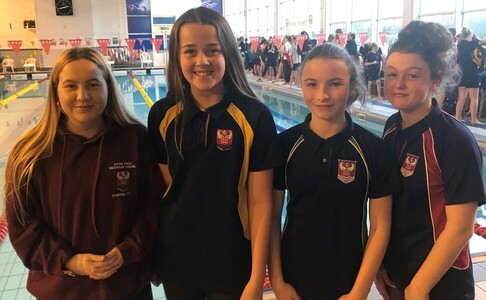 Saturday 12th January 2019 - Kent Secondary Schools Swimming Championships, Hartsdown Leisure centre, Thanet. 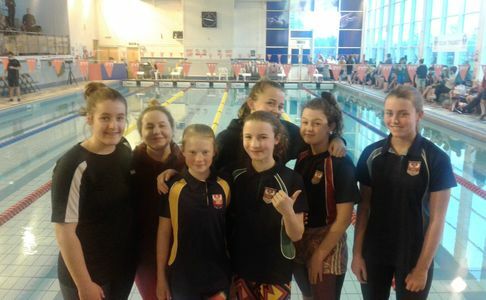 This competition saw 7 club swimmers representing Dover Grammar School for Girls in a county wide event aiming to improve their times to gain a Kent or Regional time. There were PB's for some in the 100m fly and the 200IM, with medals achieved too. Well done girls! Monday 14th January 2019 - Dover District Sportshall Athletics competition, DCCA. Sixteen DGGS students from Y7 and Y8 took part in the annual Kent School Games indoor Athletics competition and battled in a variety of jumping, throwing and running events. The five district schools taking part were aiming for a finals place in the competition and our students were so close, managing 2nd place for both year groups. Better luck next year!